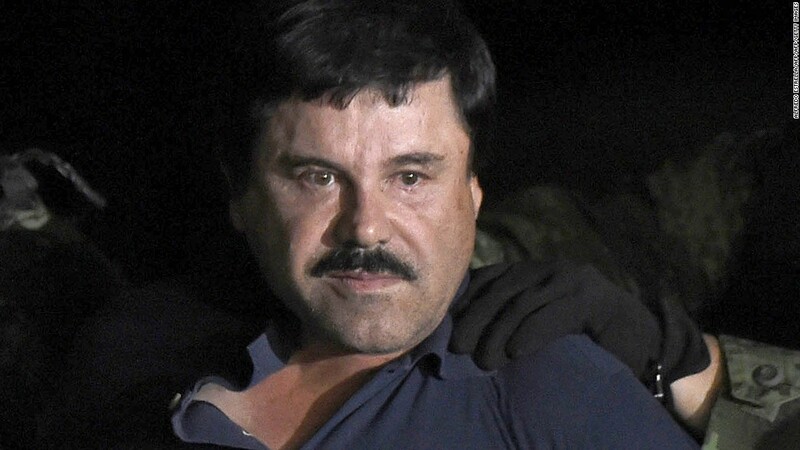 New York (CNN) Joaquin "El Chapo" Guzmán Loera, the Mexican drug lord who pocketed nearly $14 billion as the decadeslong head of the murderous Sinaloa cartel, was found guilty Tuesday of all 10 federal criminal counts against him, including the top charge of engaging in a continuing criminal enterprise. The vast Brooklyn courtroom fell silent as the verdict was read. There was no visible reaction from Guzmán, who faces a mandatory sentence of life in prison. After the jury left the room, Guzman waved and smiled at his wife, Emma Coronel, a former beauty queen and courtroom regular who smiled back and touched her hand to her heart. "Good, thank you," she said when asked how she felt after the verdict.